Between work, family and social obligations, the very idea of attending continuing education courses is exhausting. While it is required in order to maintain certification, it’s easy for physicians to view CME as just another strain on their schedules. That’s why it is crucial that medical associations provide the best support for physicians’ CME. This support is best provided when an organization offers a web-hosted education platform that is robust and easy to use. One of the unique benefits of online education web hosting is its ability to support self-paced learning. Now more than ever, it is critical to offer an LMS that can support self-paced learning. e-learning allows physicians the ability to tailor their CME to their own schedule as much as possible without losing educational benefit. Convenience. When it comes to continuing medical education, learners often find it difficult to attend scheduled training programs due to overlapping priorities. However, with self-paced learning, individuals can learn anytime and anywhere. The convenience offered by a self-paced e-learning environment enables physicians to more easily complete CME credits. Adaptability. Everyone learns differently. Some learners prefer to go through the same content multiple times, and thus require more time for completing a course. Conversely, other learners complete courses at a rapid pace. Self-paced learning is easily tailored to the diverse needs and preferences of these different learning approaches. Administrative Ease. Scheduling is one of the major challenges for any CME program. With vastly different schedules and the general busyness of life, self-paced learning takes scheduling-related issues out of the equation. With web hosting educational services, providers can simply launch an activity and set a deadline for course completion. 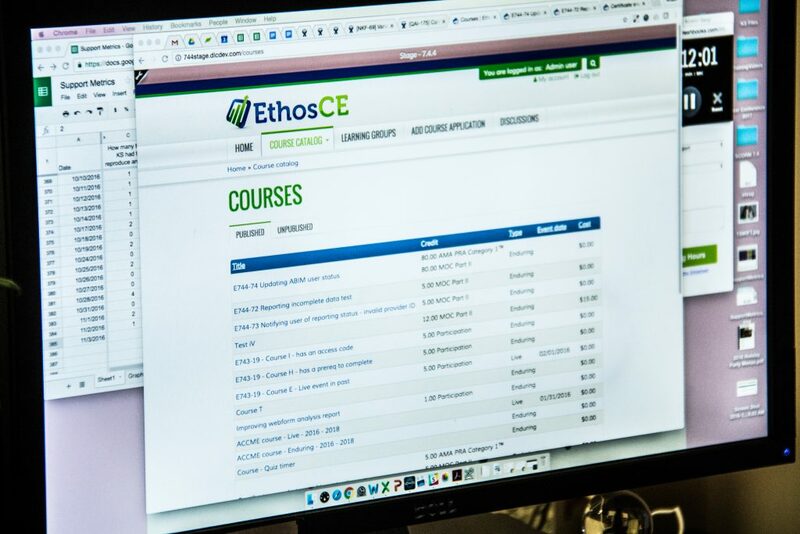 If your organization wants to take advantage of the opportunities and benefits that accompany web-hosted education platform, consider working with EthosCE. EthosCE offers the features and support that your organization needs in order to provide high-quality CME activities that learners can complete at their own pace.